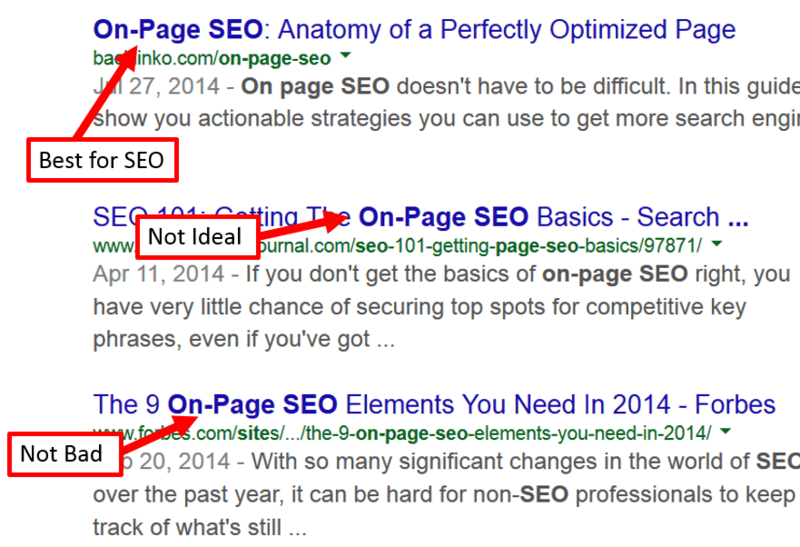 As a long-time blogger, I was pretty late in learning about and applying SEO in my articles. Thanks to books like WordPress SEO Success, informative articles by thought leaders like Neil Patel and Mark Traphagen of Stone Temple Consulting, plus a short training session by Terrence from Hashmeta, I managed to learn a thing or two about creating more SEO friendly content. These days, SEO and content marketing work hand-in-hand (see How to Optimize Your Content Marketing) . 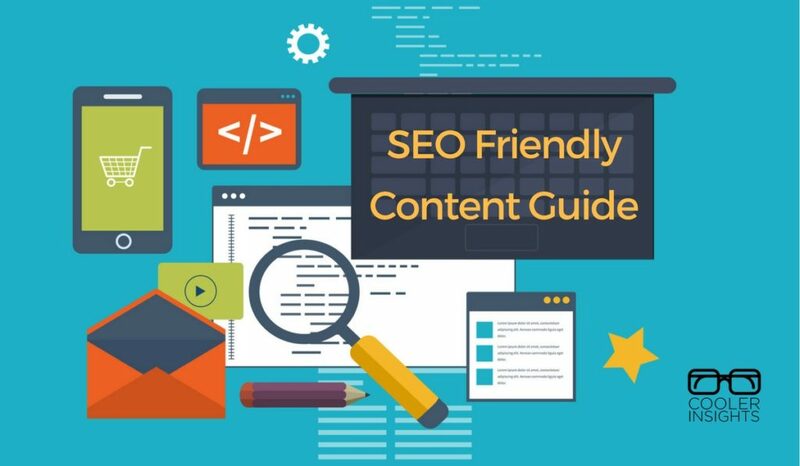 What I list here are just some of the basics of writing SEO friendly content. However, it will be a good place to start. What are the demographic factors (age, income, family type, education, etc) of my customer? 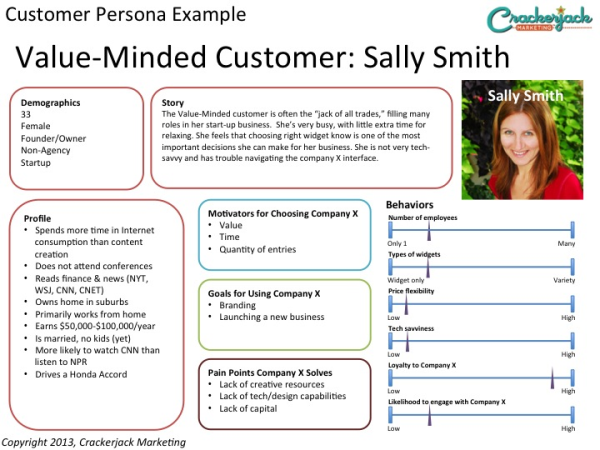 What are the psychographic factors (eg interests, habits, beliefs and actions) that define my customer? What are the three most important outcomes that my customer would wish to achieve online? What are some of the pain points which my customer would wish to solve? Next, make a list of the commonly used key phrases and keywords for your articles. Keywords and key phrases are words or phrases that your prospects would use to search for information on the topic which you will write about. They are often closely mapped to the buyer’s journey of your customer, ie different combinations of keywords would be used depending on whether he is researching for product information, considering alternatives, or ready to buy. To get the right keywords with the right combination of volume versus competition, you may wish to use tools like Google AdWords Keyword Planner or SEMrush. Here is an example of how it would look on SEMrush, where you can also determine the keyword difficulty. I’ve used the keyword “Search Engine Optimisation” and it gives me some options together with the volume of searches and estimated Cost Per Click (CPC) to bid on those keywords. As an example, a buyer who wishes to purchase a computer may key in “new windows laptop” at the initial “Awareness” stage of her purchase, but zoom in to “Dell 7000 series laptop coupon codes” at the “Decision” (buying) stage. To attract her attention and rank, you would want to use what we call long-tail keywords that are closely associated with her purchase journey. There are lots more involved in SEO keyword research – check out this article How to Conduct Keyword Research like a Pro to learn more. In case you do not know, Google doesn’t like copycats. Web pages that steal or plagiarize content from an original source tend to get downgraded in their Search Engine Rankings by their algorithms. How would this content help my readers and potential customers? What problem would it help to solve? How can I make it so useful that my readers would want to share it with their friends? Is this a perpetual problem that my customers are facing? A good way to provide greater Youtility is to consider how FAQs can rock your content marketing. By answering the most commonly asked questions from your customers – filled with the right combination and frequency of keywords – your article is more likely to be rank. Focusing on evergreen topics also helps your content to have longer staying power. While your search traffic may not peak as much as “newsjacking” type content, you are more likely to attract genuine customers and buyers. Also known as the title, your headline is the most important part of your SEO-friendly content. A well structured title not only tells the “spiders” of the search engines what the page is about – it also informs prospective readers what the article will cover. Make your article easy to read by using the right combinations of headings (H1 or H2), subheadings (H3 or H4), bullet points, bold and italics. For headings and subheadings, consider including your keywords in them only if they make sense. As a general rule, it is more important to write for humans than machines. In any case, Google’s algorithms will increasingly mimic human behaviour. Break down large paragraphs into smaller paragraphs. Maximum 3 sentences for each paragraph. Use tables if you need to compare multiple variables. Now this can be tricky. On the one hand, you want to make sure that search engines can find decide that your page is relevant to what their users are searching for. This means that it pays to include your keywords in your text – especially in the introductory paragraph at the start of your page. On the other hand, keyword stuffing, hidden texts and other black hat SEO methods are big NO NOs in Google’s books and could get your website penalised. The best way around this is to make your content easy to read and natural. At the same time, include occasional mentions of your SEO keywords and key phrases in your titles, headings and subheadings, and body copy. By doing so, you are able to appeal to both humans and search engine “spiders” in an organic fashion. Link building is an important component of SEO friendly content. The more backlinks you have to your website – especially from high authority websites like media websites – the higher your authority for selected keywords. Sites with high authority rank better consistently on the the Search Engine Results Page (SERP). Once again, the days of link building by listing your website on thousands of directories or creating hundreds of fake websites are over. Such practices may get your website penalised over time. Doing so not only helps drive traffic to older articles, it also improves the credibility of your content from the perspective of Google and other search engines. To help you to do so, you can also use a tool like Linkio (they have a free trial) to help you to build credible backlinks with the right anchor texts. This is helpful in ensuring that the links you build would give you the right authority for specific keywords. High quality relevant images are not just good for search engines. They also improve the level of engagement you have with your web readers. In my previous article on Visual Content Marketing in Asia, I highlighted how images have a dominant effect on SEO. Beyond the fact that humans are visual creatures, images also help to make content less tiring and easier to read. In the past, we have been taught that short and sweet content works better for the web. After all, most of us read the articles on our smartphones or tablet devices, and long copy is strenuous. Apparently, the reverse is true for SEO. 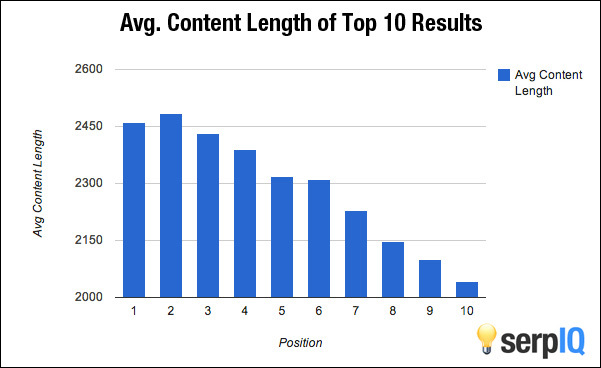 In fact, many studies have shown that longer content with at least 2,000 words or more are ranked consistently better on Google’s SERP. Having written this, do note that 2,000 words full of rubbish isn’t going to rank highly on the SERP. Substance – What are you trying to say and what’s the substance? Style – Does a short, brief and to the point style work? Or a longer more conversational tone? Frequency – How often will you be posting your content? If you only post about twice a week like me, you would tend to write longer and more considered content. Others, however, may choose to produce more frequent short posts daily or once every two days. Format – This has a huge impact on readability and hence attractiveness of your content as mentioned earlier. Purpose – Determine what your goal is. Do you seek to raise brand awareness? Improve customer conversions? Or enhance customer service and experience? Each of these would have different length requirements. Audience – Are your audiences the kind who will read through your article in its entirety? Or are they more likely to just skim through your headers and subheaders? Medium – Finally, not all content is words. In Neil’s case, he use about 100 words to introduce an infographic. Similarly, videos or memes probably do not need that high a word count. Last, but certainly not least, you need to ensure that your content is relatively free from factual and language errors. We mustn’t forget that we are ultimately writing for flesh-and-blood readers. Whatever arrangements of words, images, videos and graphics will leave either a positive or negative impression on us. Remember that errors such as bad links, spelling mistakes, or grammatical mistakes could increase the bounce rate (exit rate) of our readers. This in turn sends a negative signal to Google that your content is not sticky, and may reduce your search ranking further. Are there other strategies which you can think of to improve the SEO of your content? I’d love to hear your thoughts. PS – If you wish to learn more about SEO, I highly recommend that you sign up for this 2-Day Hands-On SEO Training Course conducted by Equinet Academy. Owning a website is one thing but getting it up and high on search results is another thing altogether. It doesn’t usually come on a silver platter. Perhaps you are wondering whether there is a shortcut to boosting traffic on your ecommerce site so that your website can start showing up on the first page of Search Engine Results Pages (SERPs) but the bottom line is it takes hard. And when that happens, there is no greater success on the blogosphere than that of people finding your content at every tap or click. It is a dream of many writers, online merchants and webmasters. Hey. Do SEO optimization site is difficult. But there are certain good rules that help in SEO optimization. This resource – https://sitechecker.pro/on-page-seo/ will help you in the analysis of your site. 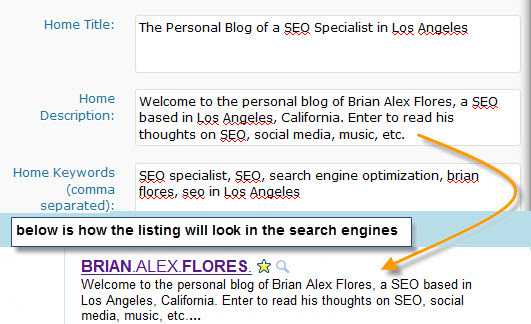 After you read the basic rules, you will be able to bring your site to a good position in the search systems. Wow, Nice Article I have read your article tips are very helpful to write content for SEO friendly. before writing the article we need to research on keywords what user will search in a search engine.